Remember last year when everyone was obsessed with Westworld? The HBO hit sparked our imaginations in all kinds of ways. However, with a long wait for season two, things have been quiet lately. That may start to change, however, as co-creator Jonathan Nolan took to Reddit to drop an early clue for season two. In a Reddit thread titled “Can we end the endless maze image posts?” Nolan popped in and said “Nope.” But “nope” was a link and here’s what it revealed. 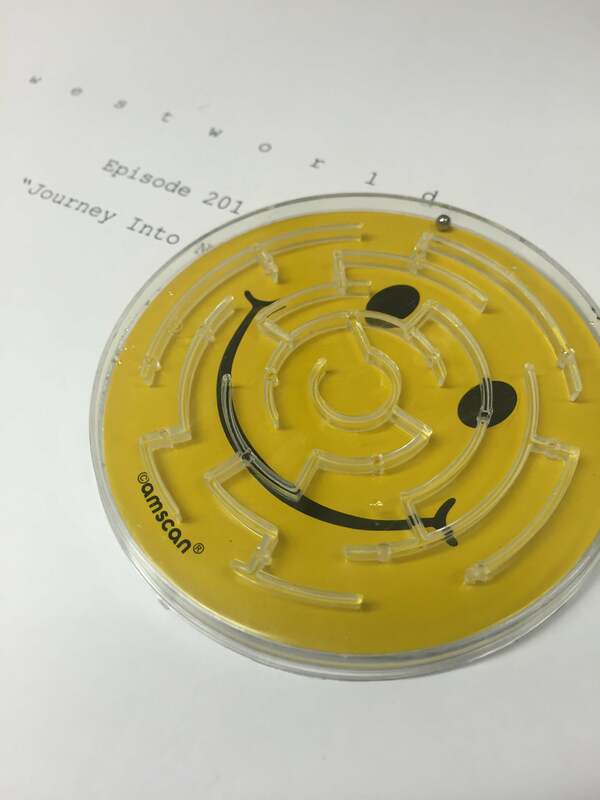 That’s the season two premiere script, called “Journey Into” something starting with an N. “Night?” “Nothing?” “Not-Samurai World?” We don’t know. The answer is obscured by, you guessed it, a maze, tying back to the original question. The bigger takeaway here is that writing is well underway for season two, putting the production on track for its scheduled 2018 debut. You’ve got to wonder if this is the only script that’s finished, or if they’re all done and shooting begins soon? If it’s the latter, a spring debut seems feasible.